Is there an option to not go through Form Designer? Is there a way to NOT use the form designer? 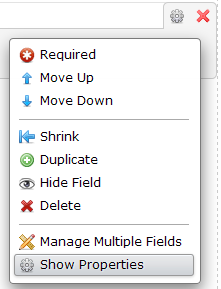 and there are some options that you can set by right clicking a field/tool/widget and selecting Show Properties. Other than that, there are no other options that can be set - outside of Form Designer.